It's important that you learn how to run disk cleanup and also learn to use disk defragmenter in order to keep your computer running efficiently. These utilities are great tools to help you with that. Lets say you have been using your computer for a few months. You have added and deleted files, installed and uninstalled software, and your computer begins to slow down. Simple maintenance on a regular basis will help improve significantly your computers performance. 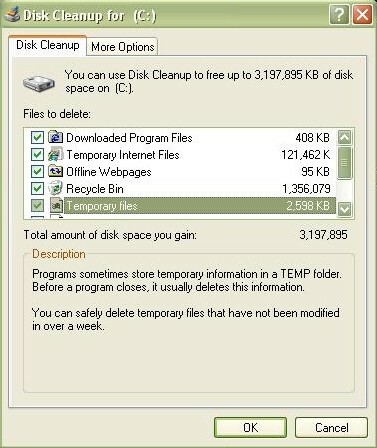 Note: Depending on how much you use your computer, you can choose to run disk cleanup and/or disk defragmenter every week, every two weeks or even once a month. The point is that only you can determine when to use these utilities based on the amount of times you use your computer. The disk cleanup tool deletes unnecessary files and it helps your computer run faster. It is able to determine what files on your hard drive are no longer needed. You need to run it to free up space on your computer and delete those files. 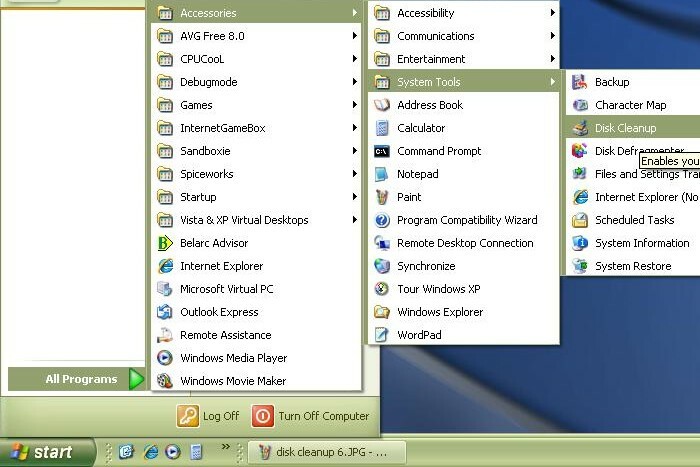 Open Disk Cleanup by Clicking the Start Menu button on the bottom left corner of your screen, go to All Programs, go to Accessories, go to System Tools and click on Disk Cleanup. 1. select the drive you want to clean. 2. Select each box of every category and click "OK". Scroll down to check them all. Before continuing, it's worth mentioning about this category in particular. As opposed to the other categories, Compress Old Files does not delete unnecessary files from your hard drive. Instead, it compresses files that Windows has not accessed for a period of time, thus saving disk space (if you select this category) while still enabling you access to those files. When you highlight this category, an Options button appears. Clicking this button allows you to set the number of days before unused files are compressed. 3. A confirmation window appears. Click "Yes". The progress bar will show after you click "yes" in the previous window. This process could take a few seconds or a few hours. When it is done, it will disappear.